Meet the heroic volunteers who clear Bramley's forgotten war graves | West Leeds Dispatch | News. Views. Get involved! 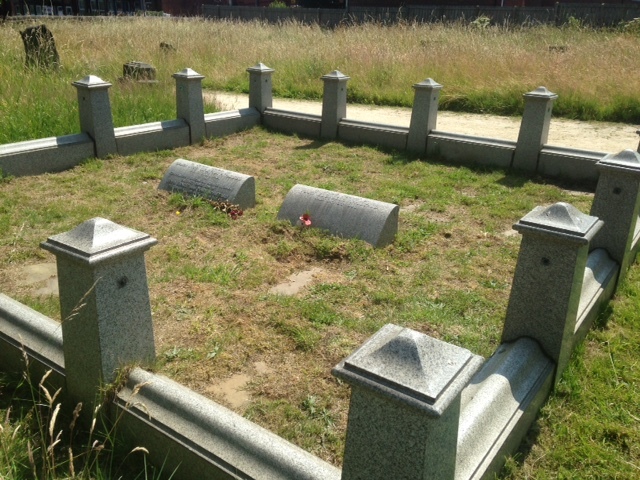 A group of volunteers are clearing away the weeds and grass from forgotten war graves – and unravelling Bramley’s past at the same time. 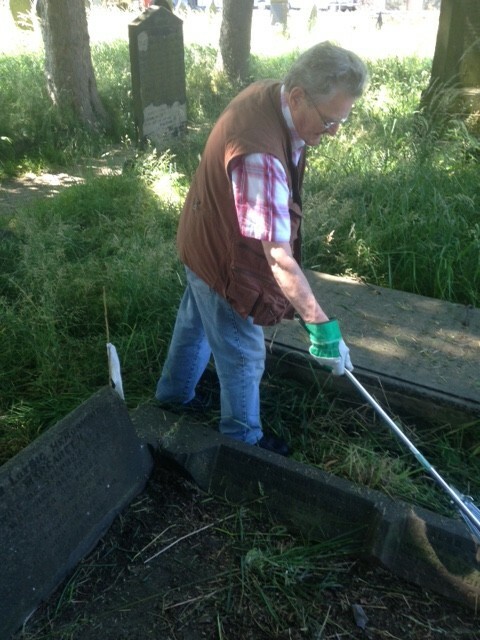 A group of about ten local residents from Bramley and Rodley give up a couple of hours every fortnight to clear close to 60 graves and memorials in the overgrown graveyard at Bramley Baptist Church. 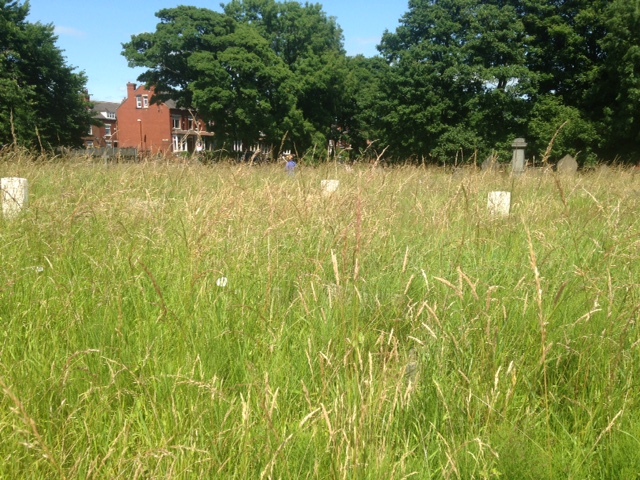 You might think that cutting overgrown grass in a graveyard would be an unlikely way to spend a couple of hours of your spare time, but when West Leeds Dispatch caught up with the volunteers on a gloriously sunny summer’s afternoon we found them on a mission – but having lots of fun and banter at the same time. 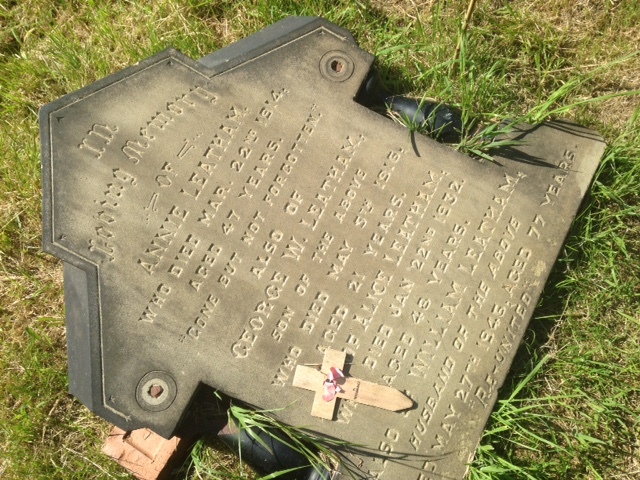 John Barker, from Rodley, is quick to point out one of the memorials the group has uncovered a particularly important memorial – that of one of the founder members of the SAS, Major John Geoffrey Appleyard. Appleyard was a second world war hero, son of Leeds garage owner John Appleyard. “There are so many stories here that we’re uncovering all the time – it’s one of the perks of doing this sort of thing. We’re also remembering the lads who died each time and keeping their names and memories alive. We’re aiming to to map all the war graves in the cemetery for any relatives who may be interested – we keep finding more each time we come. “We mark each one with a small flag and try to keep the grave clear of grass and weeds. Many of them have been covered for decades. The volunteers pick up litter, clear up dog muck (they’ve had bins installed which has helped with the problem) and use petrol-powered strimmers to cut back the dense vegetation. As you walk around the graves it strikes you how many brave young men from the Bramley and Rodley area gave their lives during the first and second world wars. How many young lives were cut short right at the start of the first world war as the volunteer Leeds Pals went into action. Or how many died on bloody battlefields like the Somme, hundreds of miles from home. Updates on the fortnightly tidy ups regularly appear on the popular Memories of Bramley Facebook group or on Twitter @bramleymemorial. The next meet up is scheduled for next Wednesday afternoon. 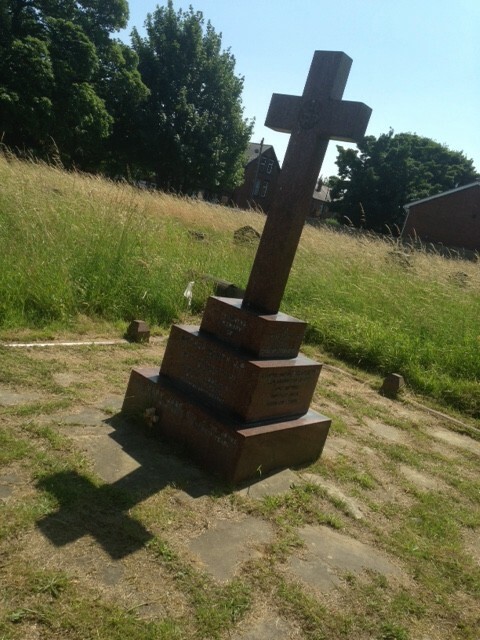 Can you help tidy Bramley's war graves? As an ex-pat from Bramley, now living in the USA, I can’t thank you guys enough for the work you are doing! I remember weekly visits to the graveyard with my grandmother, great aunts and uncles as a child to visit their parents and brothers gravesite, tend it, plant flowers and cut the grass etc. Therefore I was devastated to return as an adult and not even be able to locate the headstones and markers. Wish I could join you … but I’m there in spirit! Please keep up the good work!